The American Civil Liberties Union and law enforcement officials are at odds over the use and collection of license plate scanner data. The debate focuses on the issue of privacy versus improved protection. The American Civil Liberties Union (ACLU) released a report last week on the use of automatic license plate scanners by law enforcement officials. The use of the tracking devices has sparked a debate between privacy advocates and the police who store the data. Police in various states are utilizing the data as an investigative tool with specific guidelines about tracking uses. In Lehigh Valley, a collection of towns in Pa. and N.J., license plate scanning data can be stored for at least five years, according to the Lehigh Valley News. However, the police do not have unlimited access to the data. “"As far as using that information, anything garnered from that is strictly governed by attorney general guidelines and case law," Phillipsburg Police Chief James Faulborn told the Lehigh Valley News. In northern California, at least 20 law enforcement offices, including the California Highway Patrol, have installed automatic license plate scanners, according to the ACLU. Milpitas, a city of 67,000, has recorded 4.7 million license plate images in just over a year, according to Matthew Cagle, a volunteer attorney for the ACLU in northern California. In Portland, 16 police cars have been equipped with automatic license plate scanners that are capable of recording 8,000 images a day, according to KGW News. “The intent of the system is not to track people. The intent of the system is to solve more crime," Portland police officer Garret Dow told KOIN 6 News. The scanners, which cost $18,000 each, have reportedly helped track down 70 suspect vehicles in the past month, according to KOIN 6 News. The ACLU’s report criticizes the collection and storage of massive amounts of data on the general public. “License plate reader information can be very revealing. While one snapshot at one point might not seem sensitive, as blankets of plate readers cover our streets, and as the government stores data for longer and longer, the technology quickly morphs into a powerful tracking tool,” Catherine Crump, staff attorney for the ACLU, wrote in an article for the ACLU site. For the ACLU, the marginal benefits of plate scanners do not outweigh the potential negatives of enormous amounts of stored tracking data on the general population. "While it is legitimate to use license plate readers to identify those who are alleged to have committed crimes, the overwhelming majority of people whose movements are monitored and recorded by these machines are innocent, and there is no reason for the police to be keeping records on their movements," the ACLU stated in its report. Yet the massive amount of data serves a purpose. "God forbid if the day came that a child is abducted from that mall. 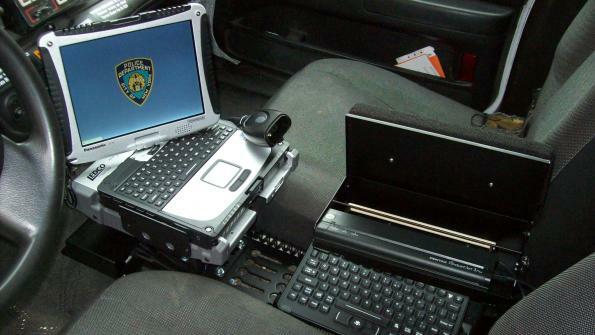 We would have that tool available to us, to look at that data and see if we can't find a possible suspect vehicle," Sgt. Robert Eberling of the Grapevine, Texas police department told National Public Radio (NPR). For more information, read the ACLU’s report “You Are Being Tracked”. What is needed is for some enterprising soul to develop a counter to the plate readers. They could assist in helping people maintain a bit of privacy and make a decent profit at the same time. I would certainly purchase one for each vehicle I own.